King 810 are set to share a brand new track this weekend. The world premiere of “I Ain’t Goin’ Back Again” will take place this Sunday, the 24th of July on the UK’s BBC Radio 1 Rock Show with Daniel P. Carter from 7pm BST. The band made the announcement via their social media accounts. 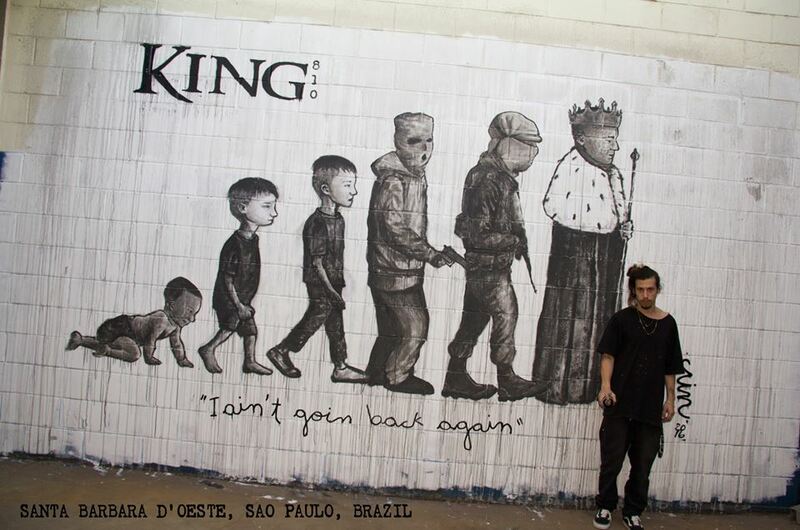 King 810 had previously teased that new material was on the way with a behind the scenes video featuring artist Caio Henrique Cain creating a mural for the song on a wall in Santa Barbara D’Oeste, Brazil. David Gunn and crew shared a video for their track “Carve My Name” last month, indicating that it would be the last clip they would release for material from their debut album, Memoirs Of A Murderer. In recent months King 810 have been heavily involved in helping to combat the effects of the contamination of the water supply in their home of Flint, Michigan. A state of emergency was declared in the city last December after the local water supply became contaminated with lead.